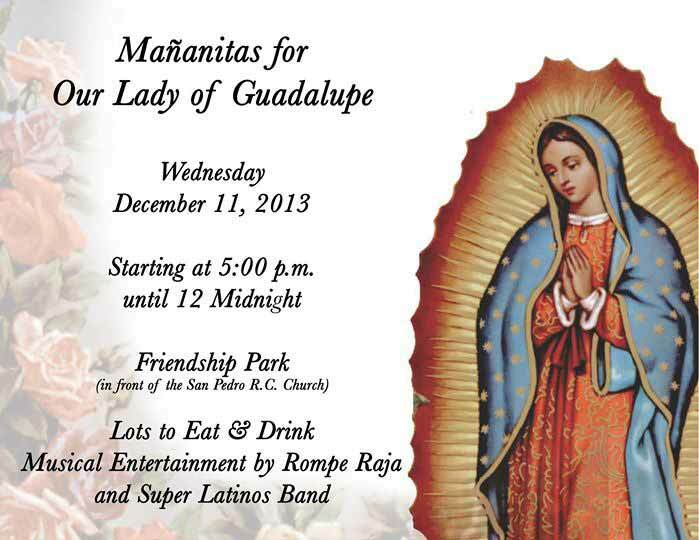 Residents of San Pedro Town paid homage to the virgin of Our Lady of Guadalupe at a special event held at the San Pedro Roman Catholic Church on Wednesday December 11th. The celebration was held on the eve of the day that is set aside by the Roman Catholic Church to commemorate the date that Our Lady of Guadalupe appeared before Saint Juan Diego at the hill of Tepeyac, Mexico in 1531. On Ambergris Caye, the event was filled with many presentations include several serenades by local musicians and residents. The event started at 5:00PM on Wednesday and ran until the wee hours of Thursday, December 12th. 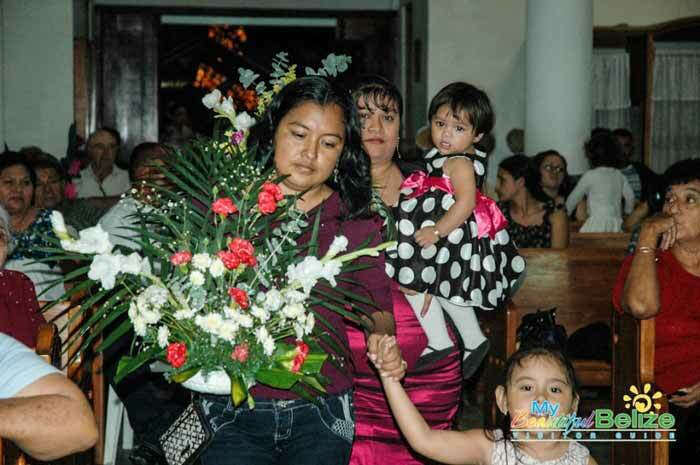 The church had a constant flow of people as hundreds of churchgoers took time to visit with the statue of Our Lady of Guadalupe, bring beautiful floral arrangements and lit candles. People of all ages paused to pray to the virgin, asking for her mercy and protection. As part of the activities, several people participated in the official program which was filled with poetry, musical and dance presentations and even are-enactment of the appearance of Our Lady of Guadalupe to San Juan Diego. Marthita Leslie and Angel Nuñez were the first to start with their poems in dedication to the Saint, also referred to as the Virgin of Tepeyac. Talented Noel Wilshire and upcoming organist Diego Francois made their presentations in front of a packed church. Other notable singers include Wally Nuñez Sr., Oscar Aguilar, Yoli Aguilar, David Aguilar, Nelsin Rivero, Javier Castillo and even Miss San Pedro Solani Graniel. The electrifying voice of Elina Palma, Natalie Arceo and the San Pedro Roman Catholic Youth Group Choir also captivated the audience.